Qualcomm Technologies, Inc., a subsidiary of Qualcomm Incorporated (NASDAQ: QCOM), today announced Qualcomm® wireless edge services a set of trusted software services designed to meet the requirements of new Enterprise and Industrial IoT customers to securely provision, connect and manage long life-cycles of billions of intelligent wireless devices through their cloud platforms. Qualcomm wireless edge services software is expected to be exposed through new APIs and available on select Qualcomm Technologies’ chipsets – initially the MDM9206, MDM9628 and QCA4020 – and later on, select Qualcomm Snapdragon™ platforms. As the relevance, capability and intelligence of the wireless edge increases, Qualcomm Technologies continues to evolve its leading Snapdragon portfolio to better serve and accelerate the realization of the data driven transformation central to our 5G vision. Qualcomm wireless edge services is anticipated to facilitate the integration, processing, analysis, learning and trusted exchange of information with wireless edge devices and unlock new use cases, services, ecosystems and business models, creating additional value across many industries. With security rooted in the chipset hardware, Qualcomm wireless edge services is designed to assist large enterprise, industrial cloud providers and users in provisioning and managing massive amounts of connected 4G and 5G devices in a trusted, security-rich and scalable manner. It is also engineered to support a new Chipsets as a Service (CaaS) business model, in which the value of certain chipset capabilities can be realized through services. 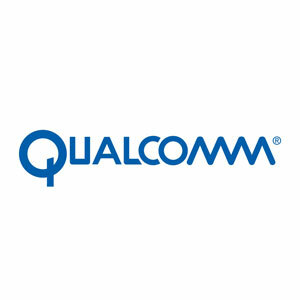 Qualcomm wireless edge services is designed for and expected to be applicable across multiple segments and initially be offered on Qualcomm’s MDM9206 LTE Modem for Industrial IoT products, MDM9628 LTE Modem for Automotive products and QCA4020 for Home IoT products, which require extremely reliable connectivity and security. The initial support of Qualcomm wireless edge services on these chipsets is anticipated to be available in 2H 2018. “At Alibaba, we are invested in developing leading-edge and reliable technologies to accelerate and support a broad range of commercial and industrial applications,” said Wei Ku, general manager, Alibaba Cloud IoT. “We see a strong synergy between Qualcomm wireless edge services and Alibaba Cloud Link, which will bring opportunities to expand security services and extend lifecycle management to customers, while also supporting greater feature management and flexibility. “As demand for device connectivity continues to grow across new use cases and industries, the requirements of the massive IoT are becoming increasingly more diversified,” said Wendy Wang, general manager, SIMCom Wireless. “SIMCom is providing service for an installed-base of 10,000 Enterprise customers with 100 million connections around the world today, we are excited about Qualcomm wireless edge services to help address such a big user base with strong hardware-based security design. With Qualcomm wireless edge services, we hope to continue to develop cost efficient LTE modules that meet the increasingly diversified connectivity, processing and security requirements without requiring an extra layer of hardware or software”.